Only By His Grace is a timeless resource that will breathe new life into the adult choir ministry of your church. These fresh, exciting arrangements are ideally suited for worship services, revivals, or evangelistic meetings. Twelve powerful songs combine to cover a wide range of themes and emotions. 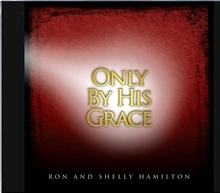 The title song, Only By His Grace, is a fervent call to live in the reality of God's amazing grace. Go Ye seeks to compel each one of us to be a soul-winner. All Are Welcome is a stirring song of invitation, and Better Be Ready reminds the listener of Christ's soon return. Congregations large and small will be deeply impacted by these heart-stirring songs of praise and encouragement.